Ensure surface water flood risk information is publicly available, alongside information for householders of what they can do if they are in a flood risk area. Extend a funding scheme for green roofs to include other forms of sustainable drainage and use sustainable drainage, if possible, in GLA group property. Retain and show a plan to achieve his target to restore 15km of rivers in his Climate Change Adaptation Strategy. Support a call for water companies to be able to work directly with householders to correct misconnected drains. Take steps to identify and secure funding for work to reduce flood risk in London." George perez, after serving 12yrs of drug dealing & homicide "apply same negative energy & revert it & change into positive energy for anything!" Maybe something can be learnt from this positive story for UK & Europe?? Interesting take indeed.. one for my weekend read for sure. download the full PDF here from Jason's site. wonder if you agree at all though? My comments, 3KSFs (Key Success Factors) re peHUB » TALK BACK: Will Google+ Displace Facebook? especially in the online/startup world (hight capital expenditure world of telecommunication is different), due to their nature, even likes of google, facebook and even microsoft could change their business/direction/products/T&Cs on a drop of a hat... what does that mean to users and or loyalty?? as the Google+ might just be the favourite new baby daughter now (& google labs!?) how soon would the public sentiment/expectation change (and boy they do!) and then the new service becomes the ugly sister that no one want to know? Therefore, unless and until one of these system/product(s) become so integrated with our OFFLINE lives that we cannot live without them (literally), then, that product/services would be the winner..
As otherwise, everything is meaningless.. as the barrier to entry is not that high (in the online world), loyalty is limited (especially for startups or even subsidiaries of big corporates, Apple excluded), and there will ALWAYS be the next favourite daughter of the month..
"Now, we’ll watch over the next 24 months as each of these Internet titans slug it out for the title of most dominant social network. The brewing brouhaha also leaves plenty of questions, and that’s where you come in, dear readers: Who will win? And, is the title of “top social network” a permanent role, or one that is bound to shift every few years to the “next big thing?” Also, what is the impact that will be felt by businesses dependent on Facebook’s and Google’s reach for their advertising and subscription revenue — who will be winners and losers?" One need to look at this as 'entertainment', and take everything with a pinch of salt. I was approached when the first season to pitch, but it was limited to max £25k and I already told them that it would be self selective to lifestyle business..
3) create a great format for rights owner/producer(s) in the appropriate countries..
Of course though, it is self selective, as I know for sure given the chance, some CXOs would be confident enough to give the dragons a run for their money & give them right "dress down", but they would not waste their time doing that for sure.. Life is too short, why teach other people's children? good entertainment for sure, as good as "true blood" of the Business World, BUT without Anna Paquin & other semi-decent babes sadly.. Here is Brendan McManus, CEO Willis ltd.'s response. It is a very competition world.. but sometimes one still need to strike balance between profit/growth vis ethics..
challenge is when it gets to a grey area.. where if a certain country that is the ONLY way of business, what does one do then?? It would be great if all countries/busiensses all play to the same rule.. sadly however, it is never easy nor would people play ball..
"The fine is the biggest imposed by the FSA in relation to financial crime systems and controls. It would have been £9.85 million but Willis qualified for a 30% discount as it agreed to settle with the FSA at an early stage." 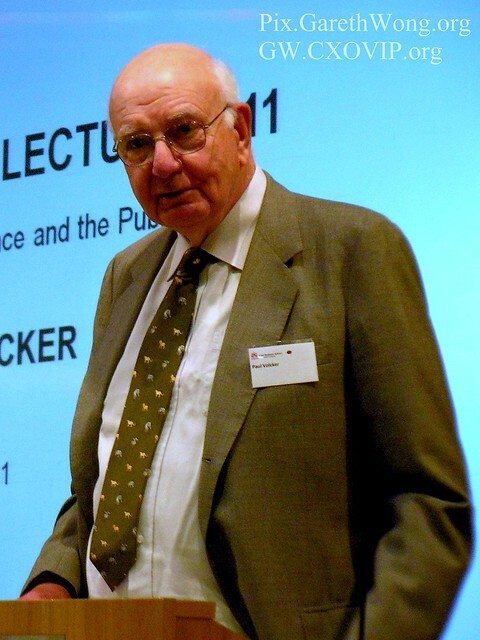 Neither my experience nor intellect are comparable to those of Mr. Volcker, but there is one question, however ignorant, which I was bursting to ask him. I suspect Dean Richard guessed it, and therefore deliberately passed over me, in favour of a woman from Citi. My question is this: "Why don’t we get ‘back to basics’, and monitor the present cash flow of the regulated companies?" All capital ratio and stress tests are based on the markets’ consensus of what they 'might need' to prevent another crisis. Sadly, however, other than all the regulatory proposal studies and limited retrenchments (which still needed to be sorted out, even at Sovereign debt level), it seems to me that in 2011, we’re back to the pre-credit crunch level of finance merry go-around. That includes banks, whether investment or clearing, pension funds, VC/PE, insurance, re-insurance, hedge funds and alternative risk finance firms. I am not expert on Basel III either, but once again, if the collective brilliance of human minds can predict and manage risk in a responsible manner (which it mostly manages to until disaster strikes), we would not have near market failure events like the credit crunch, nor even the aftermath of Japan’s earthquakes. As natural diasters ARE intrinsically NOT predictable, creating a set of rules (no matter how brilliant) to second guess the likely capital requirements, or deciding how high to build the coast wall to prevent tsunamis breaking through, are nearly impossible tasks. Some might argue that I am biased, but this is a critical and fundamental question that needs to be answered. 1.) Shortens the value chain. 2.) Focuses upon the viability of companies as a whole rather than segregating and securitising chunks of companies or operations when, as we know, even the companies themselves do not know how events might unfold. I am a very boring, stupid person, who doesn't own stocks, and more to the point, doesn't really understand the price of instruments that typically have no relationships with the underlying assets, but purely on counter party demand and supply. Maybe someone can change my mind. There’s nothing wrong with people buying and selling (though this is not my point), just not when it adversly affects the boring assets I own. 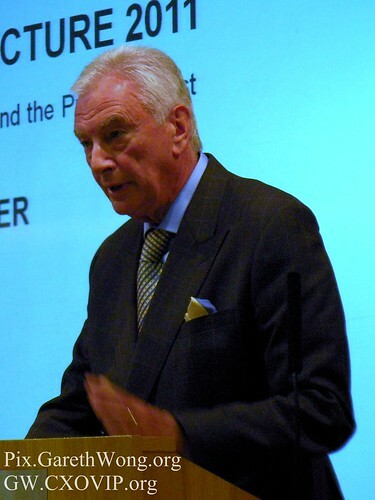 Paul Volcker: "He told a packed audience of students, alumni and City professionals that 'critical details are lacking' in the proposals put forward by the Coalition government's Independent Commission on Banking (ICB). 'The question will inevitably arise as to the financial and regulatory logic of maintaining a 'retail bank' as part of what in most cases would appear a much larger highly diversified and 'systemically significant' organization,' he said. Mr Volcker, who was chairman of President Barack Obama's Economic Recovery Advisory Board until early this year, also said he was concerned by attempts to 'resist new regulatory discipline for fear of impairing the markets'. He said: 'When we count in the enormous economic losses consequent to the collapse of the financial system, the case for pressing forward with thoroughgoing reform should be uncontested.'" Lack of competition & transparencies between successful & exited/exiting entrepreneurs also play a role. Unlike the NYC/SFO/Boston bunch where people (as I see it from afar & few I met whilst I was there), seems to be more driven even after becoming multi-millionaire... or maybe because culturally they care more about what other think of them? or have I read that all wrong? Could this all be due to long established European culture?? (outlook of life/business/competitions)...? Fred, you seem to be expert and I would be keen to have your insights in this!? Nice use of creativity indeed! help educate & save babies.. Hence with my broken english, I would like to assert that we need in fact more competitions/transparencies and drives from across the market and across countries/industries, hence creating more opportunities and potential success for funders and the funded.. Keen to see if you agree or not as I would like to learn more.